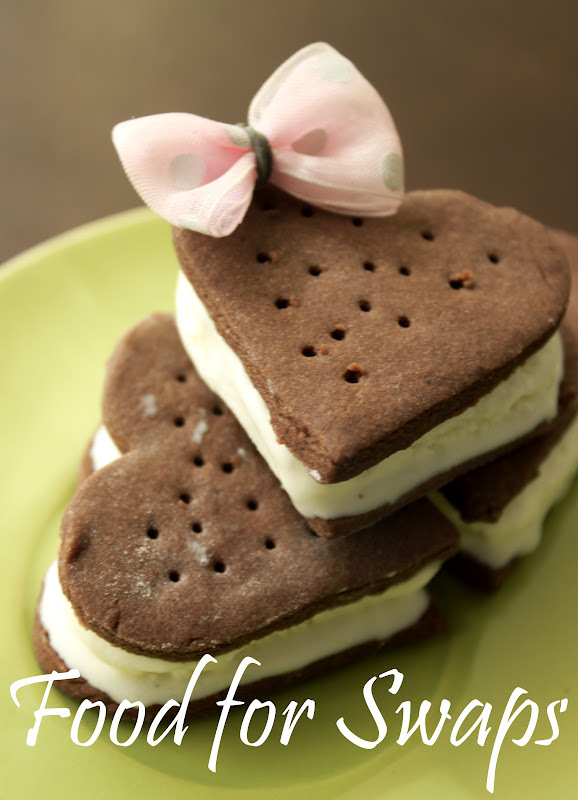 I’ve always been bewitched by Ice Cream Sandwiches. Not many companies made it and on the rare occasions that I would get to eat it; I was always in awe that ice cream could be held together by two cookies! They are very popular in Singapore (being one degree above the equator, that’s fair enough!) and that’s where I had one, every day of my trip. No exaggerating! 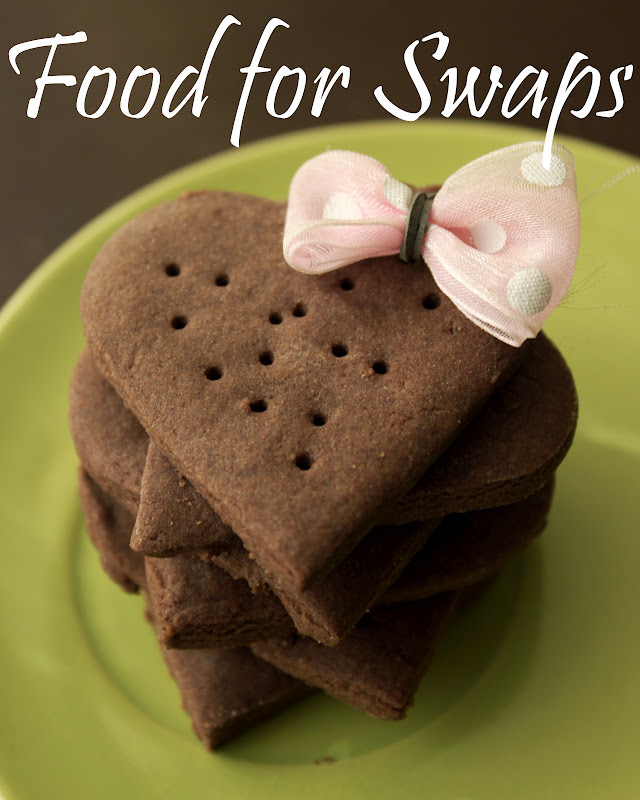 There, they use wafers to make the sandwich but I much prefer the cookies…so much more yummy! A very popular flavor there is Durian ice cream sandwich. The fruit may stink like old socks but the ice cream tastes divine. Summer just kicked in last week and the Bangalore heat has gotten as bad as Singapore this year. No really, we were at 35 degrees yesterday! The heat made me crave for the ice cream sandwiches. After looking for them in most ice cream parlors and turning up negative, I made them myself. (Not the ice cream darlings, bought that one). And since this is the month I got married in and the co-resident and I completed five years of being together, I dedicate the (cheesy) heart shaped ice cream sandwiches to him. Ha ha ha , I can just imagine him going red in the face… well, he can cool off with an ice cream sandwich can’t he? Sift flour, baking powder, baking soda and cocoa powder together in a medium sized bowl. Chop butter into small chunks. Beat butter and sugar until light and fluffy. Now add a tbsp of water to it and beat for few mins more. Add the dry ingredients mixture in two parts and beat with an electric mixer on low speed until the mix is incorporated and rolls into a ball. Now wrap the cookie dough in a cling film and refrigerate for 10 mins. Assembling the Ice cream sandwich: Bake the cookies. Place one cookie (under side facing up) on a plate. You need to work really quickly in the coolest part of the kitchen now. Cut a slab of ice cream as thick as you want the sandwich to be. (I used ¾ inch). Quickly cut the ice cream using your cookie cutter and place the shaped piece on top of the cookie and sandwich it with another cookie on top. Now quickly transfer it to the freezer for it to firm up. 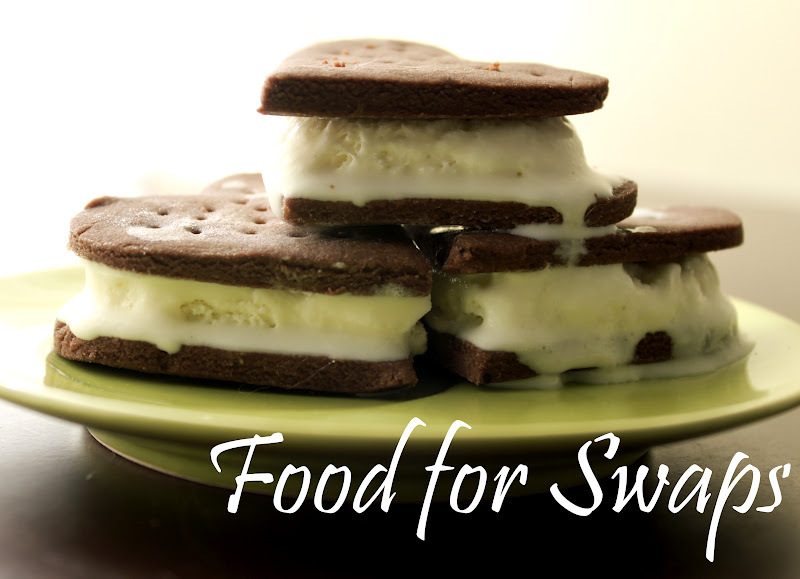 (I used a Tupperware box lined with butter paper to store the ice cream sandwiches).